Since being elected, I have successfully sponsored bills which have been signed by the Governor. Two House Bills, HB2341 from 2017 and HB2421 from 2018, protects ALL national guard members, when called upon to deploy, their employment upon completion of their deployments. ALL, includes national guard members who are members form national guard units from other states but work and reside in Arizona. I also had three House Concurrent Memorials from 2018, HCM’s 2007 and 2008, 2016, HCM 2006 pass out of both chambers, House and Senate to the Secretary of State, urging Congress to support important issues regarding our veterans. I am also the ranking Democrat on the Transportation and Infrastructure committee and ranking Democrat on the Military, Veterans and Regulatory Affairs committee. I support giving our teachers a pay raise, however I did not vote for the plan passed by the Legislature which was signed by the Governor. The Governor did not have teachers at the table, so therefore he did not meet the demands of the teachers. In 2018, the 1st raise is only 9% and only teachers with a homeroom, meaning not support staff. The future raises are contingent upon the economy meaning if there is a drop in revenue for the next 2 years, teachers will not receive a raise. There was no sustainable funding source, and money was swept from other sources, in other words, robbing Peter to pay Paul. The responsibility was also given to school boards, and if they cannot give the full raises due to other needs in the school districts, due to lack of funding, such as building maintenance, school buses then the blame is deflected away from the GOP controlled Legislature for not fully funding public education. The Legislature needs to find a sustainable funding source, stop all tax credits and giveaways and stop the draining of public funds for public education. Educators and others need to be brought to the table to discuss how revenue can be increased to fund public education, especially since the majority of Arizonians support a tax increase for public education as long as it goes directly to public education only. No, we need to hold charter schools to the same standards of accountability and transparency as we hold our public schools. 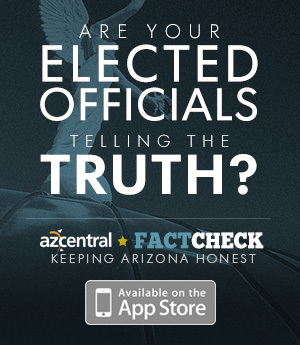 Arizonians have the right to know where every penny of their tax dollars are going and who is benefiting. This issue is about safety, making sure we keep guns out of the hands of those who should not have access to guns to stop the mass shootings in our schools and in the public. This is about safety, making sure we raise the minimum age to the access of military type weapons and gun purchases to those who are not mentally stable. This is also about safety to make sure a mass shooting does not occur like we witnessed in Las Vegas by banning bump stocks. This is also about safety as well by closing the gun show loophole by having comprehensive universal background checks when it comes to the sale of guns. Bringing educators, law enforcement, counselors and community leaders to the table for broader discussion on the issue of mass shootings. Funding for more resources such as counselors in our schools to identify who in our schools and communities need assistance to deal with issues. Having accountability when a student brings a gun to school, to the person responsible for not properly securing the gun. When someone has been identified as a possible threat, ensuring all access to guns are prohibited. No, not until public education and HURF is fully funded. Our roads and bridges are in dire need of repair. Yes, we need additional tax revenue to address funding education, HURF and improving our infrastructure. No, the Legislature has no right in interfering with a woman's medical decision. This decision should only be between herself and her doctor. We need to implement a voluntary water shortage measures to conserve water. We need to implement water savings suggestions such as converting lawns to artificial turf, low water usage landscapes. Finding ways to move water from parts of our nation which are experiencing flooding, to Arizona. Yes, members of the LGBTQ community are human beings who deserve the respect and protection from being discriminated against. At the end of the day, they are people who live among us, work with us, pay taxes and hold public office. No, if I am working in a place which provides services to the public, such as a recent incident with a pharmacy, and those services require to perform services which are against religious beliefs, the law should be protecting the public from being discriminated against due to a persons religious beliefs. It should be like in this situation, a person whose religious beliefs are preventing them from carrying out the services for which a place of business is required, that place of business should have another employee who will provide services required and/or provide an alternative to that person whose religious beliefs become question, another position in the workplace which do not interfere with providing services to the customers. Providing a strong public education system in K-12. Having a strong CTE program and providing apprenticeships. Offering an affordable higher education system to our universities where graduates do not have a high debt load. Investing in technology by improving our infrastructure to provide services including our rural parts of the state and Native American Nations. Having jobs which provide great pay, affordable healthcare and pensions, in which Arizona citizens become less reliant on the state for services. No, taxpayers money should go for what it is intended to fund, public education. ESA's only benefit the wealthy and drain public money from our public schools. I oppose the expansion of ESA's, therefore I support Prop 305 to repeal the expansion of ESA's. None, this is federal issue which should be handled at the federal level. No, training should be conducted every 2 years especially when freshman legislators are elected. Legislation also needs to be introduced which does not allow a member who was expelled the ability to run for any public office as well. Legislation which is heard in committees, many times when the public is trying to testify, they are limited to a very minimum amount of time such as 1-2 minutes. This is the only time the public is able to participate and have their voices heard. Many times, the public is shut down while trying to make a point. The only way we will be able to address this issue is having elected leaders who will listen to the public, which is why we need a change of leadership, which will no longer silence the public. Water, Arizona has been experiencing low records of rain and snowfall. We need to look at ways to conserve our water to ensure its available for future uses. We also need to look at ways to be the leader in clean energy technology by investing more into clean energy such as solar and wind power, which will generate clean energy jobs not only during construction but also in maintenance. When it comes to jobs, we need a skilled workforce, which CTE's and apprenticeships provide a skilled workforce. Yes and use the $56 million for what it is intended to be used for, to aid the working poor in child-care costs. Many children are being cared for by grandparents, many of whom are living on fixed incomes. We as a state have the obligation to recognize the sacrifice grandparents are going through and should give them the full amount of money, $650, which would make life a lot easier for them as well as family members who have taken this responsibility to care for the children of their families.